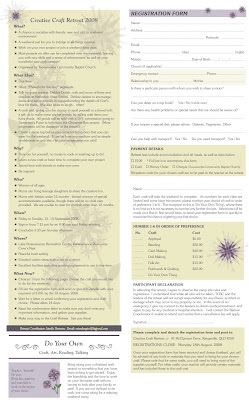 Creative Craft Retreat: 2008 Craft Retreat Registration Form! 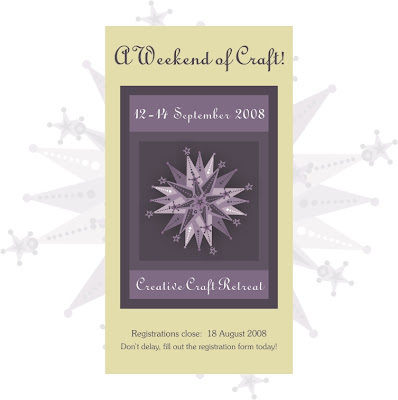 2008 Craft Retreat Registration Form! 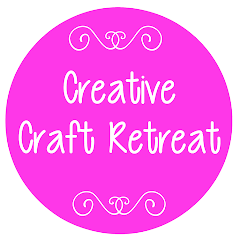 The 2008 Creative Craft Retreat registration form and information is below! Just click on the appropriate picture below to read all the information. 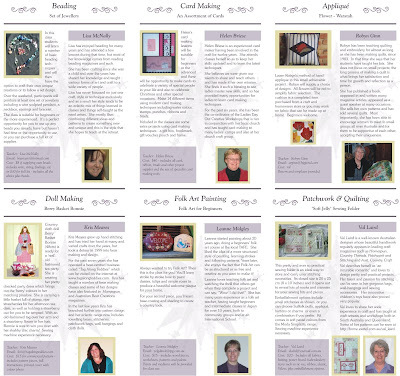 We have six crafts to choose from or you can take your own craft to do. 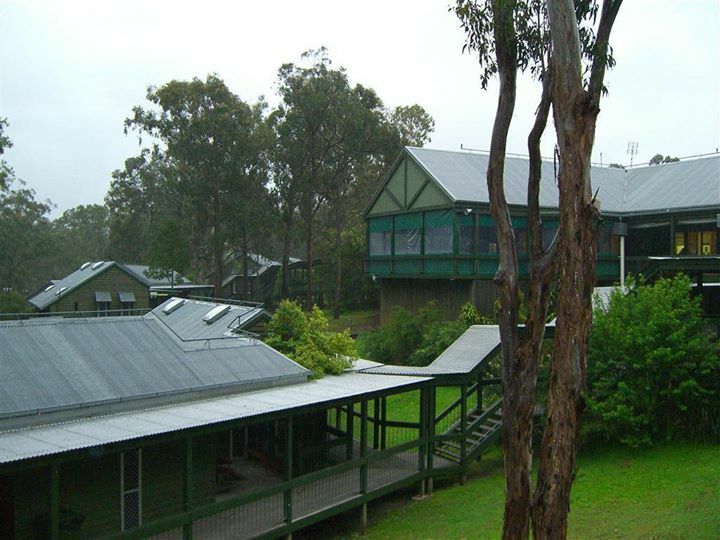 We have a great line up of teachers and crafts... don't miss out! Hope to see you there! If you want to print out a registation form, click the picture and choose print from your browser menu (or right click the picture). Choose print preview to check the form will fit on one page, and if not, choose the shrink to fit option. If you would prefer to download and print a pdf version click here.